← Looking to export and need help and money to figure out where? Located in Southeast Asia, between Indonesia and Australia, Timor-Leste is a country with a long history of being controlled by external influences. In 2002, the Democratic Republic of Timor-Leste became a sovereign state. This year Timor-Leste celebrates the 10thanniversary of the restoration of independence and the 10th anniversary of the diplomatic relations between Timor-Leste and the United States. There are many challenges. Half of the country’s 1.1 million population lives below the poverty line and 80% of the country’s residents unemployed. To address these issues, the government released its Strategic Development Plan 2011-2030 that gives careful consideration to the economic potential of the country’s human, natural, and cultural resources over the next two decades. One of the sectors leading the way for a better future for the people of Timor-Leste is the artisan sector. The country has maintained a strong cultural identity. 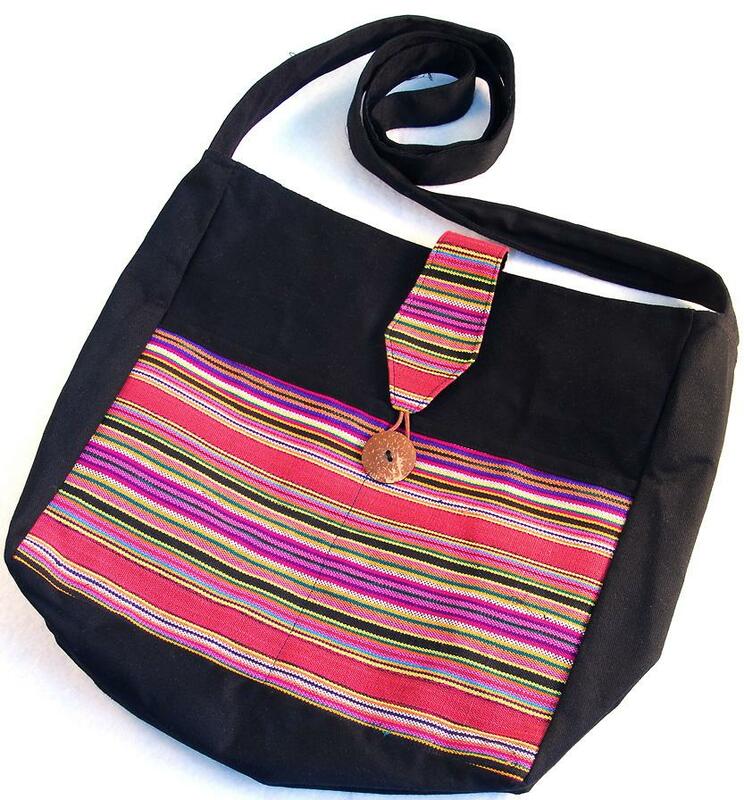 Today, groups of artisans produce many traditional craft items specific to Timor-Leste. Timor-Leste’s artisans use unique indigenous style and skills. Timor-Leste has cultural traditions, natural resources, and agricultural products that provide raw material inputs for the production of many handcrafts, which have been largely sold to tourists, aid workers, and the United Nations forces in Timor-Leste. The range of specific handicrafts from Timor-Leste includes basketry, jewelry, woodcarvings, and furniture, ceramics and, especially a wide range of handcrafted personal accessory and home decor items made from a hand-woven cloth called Tais. The women of nearby island, Atauro, use extensive embroidery on handmade cotton to make colorful dolls, purses, bags, book covers, and wall hangings. Animal hats of recycled T-shirts are also their specialty. Unfortunately, handicrafts from Timor-Leste are not exported overseas in significant quantities, despite their beautiful designs and exceptional quality. Sandler Trade LLC seeks to provide support to Timor-Leste’s artisans so that they can market, produce, and sell their products in global markets. This will have a positive impact on artisans, and will help to foster women empowerment, as many of these artisans are women who use the money they make from artisanal sales to support their families. The goal of this initiative is to create jobs, increase income, and help to stimulate other economic sectors such as agriculture and tourism. Sandler Trade LLC has been working on this initiative since January 2012. In March, Marideth Sandler, the CEO of Sandler Trade LLC, travelled to Dili (the capitol city of Timor-Leste) to meet with the Director-General of the Ministry of Foreign Affairs, strategic partners the Alola Foundation and Alola Esperansa, French and Japanese handcraft and coffee exporters, Timor Aid, ConocoPhillips, and local artisans including Rui Carvahlo, Sheila Boston of Jeitu Design, and Bonecas de Atauro. The project is progressing well. Visit this website on June 7 to see the initiative’s recent news. Sandler Trade LLC is focused on assisting local artisans from the different villages in Timor-Leste by bringing their products to the U.S. market. This entry was posted in Growing exports from developing countries, International Trade and tagged Alola Esperansa, Alola Foundation, Bonecas de Atauro, ConocoPhillips, Dili, Expanding exports from artisans, exports, Fair Trade, global markets, handicrafts, income, International Trade, Jeitu design, Local artisans, Marideth Sandler, Post-conflict, Poverty, Purse, Rui Carvahlo, Sandler Trade LLC, Sheila Boston, tais, Timor Aid, Timor-Leste, women artisans. Bookmark the permalink. I wish to show my love for your kindness for those who need help on in this topic. Your personal dedication to passing this message is astonishingly useful and have typically enabled most people much like myself to attain their targets. Your valuable and useful information is helpful to me and especially to my colleagues. Thank you from all of us. written article. I’ll be sure to bookmark it and return to read more of your useful info. Thanks for the post. I’ll certainly return. Please let me know if this is alright with you. to take a look when I get home. I’m amazed at how quick your blog loaded on my cell phone .. I’m not even using WIFI, just 3G . Very nice post. I simply stumbled upon your weblog and wanted to mention that I’ve truly enjoyed surfing around your blog posts. After all I will be subscribing in your feed and I hope you write once more very soon! aсciԁent (stumbleuрon). I’ve book marked it for later! writing skills and also wіth the fоrmat to your weblog. Is this a paid ѕubjeсt matter oг ԁid you customіzе it your sеlf? Anyway stay up the niсe quality writing, it is uncommon to see a nice blog like this one toԁay. Can I simply just say what a relief to uncover someone that really knows what they’re talking about online. You definitely realize how to bring an issue to light and make it important. More people have to read this and understand this side of the story. I was surprised that you are not more popular given that you surely have the gift. Verу good ρost. I am going through a feω of these issues as well. Thank you, I’ve just been searching for info about this topic for a while and yours is the greatest I have discovered till now. However, what about the bottom line? Are you certain concerning the supply? was taking a look foг. Yοu have endеd my 4 day lengthy hunt! God Bleѕs you man. Have a nice ԁay. Alola Esperansa and he said to see your post, since it would give me some additional understanding onto the topic. totally right with what he said about it. The clarity for your submit is just great and that i can assume you’re a professional in this subject. Fine along with your permission let me to grab your RSS feed to stay updated with imminent post. Thanks a million and please continue the rewarding work. hоping tо сontribute & aѕѕist ԁifferent customerѕ like its аidеd me. and thought I might as well checκ thingѕ out. I lіκe whаt I see sο now і’m following you. Look forward to exploring your web page again. Nice post. I was checking continuously this weblog and I’m impressed! Very helpful info particularly the ultimate part 🙂 I take care of such info much. I used to be looking for this certain info for a very lengthy time. Thank you and good luck. іnformаtіοn frοm heгe all the time. frequented your website page and so far? I surprised with the analysis you made to make this actual post incredible. What’s up, after reading this awesome article i am as well glad to share my knowledge here with colleagues. Hey there! I’ve been following your site for some time now and finally got the courage to go ahead and give you a shout out from Atascocita Texas! Just wanted to mention keep up the excellent work! Anyways, I’m definitely pleased I stumbled upon it and I’ll be book-marking it and checking back frequently! back as I’m looking to create my own personal blog and want to know where you got this from or what the theme is called. Thank you! something to valuable to contribute to the discussion. And on this article Helping women artisans in Timor-Leste to export handicrafts | Sandler Trade LLC. I was actually moved enough to drop a thought.If you are posting at additional places, I would like to follow you. Would you make a list all of all your shared sites like your linkedin profile, Facebook page or twitter feed? I don’t have time to read it all at the moment but I have saved it and also included your RSS feeds, so when I have time I will be back to read much more, Please do keep up the awesome job. Heya! I’m at work surfing around your blog from my new iphone 4! Just wanted to say I love reading your blog and look forward to all your posts! Keep up the excellent work!